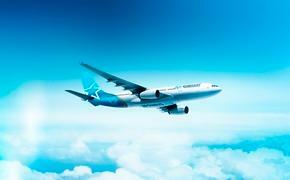 There are only a few days left to book Sunwing's Lowest Price of the Year promotion. 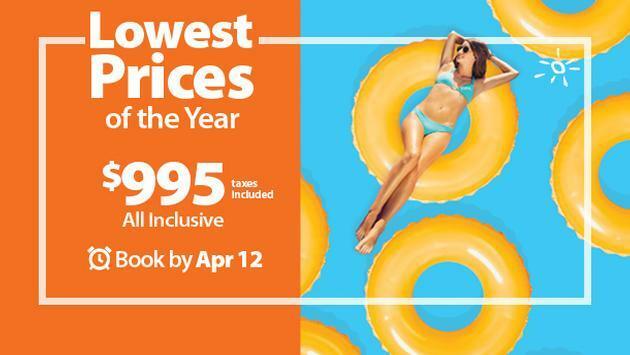 There are only a few days left to save with Sunwing's Lowest Prices of the Year promotion which ends April 12, 2019, Canadians can Vacation Better when they book all inclusive vacations at top-rated resorts across Mexico, Central America and the Caribbean for only $995. One of the resorts offered in this promotion is the popular Viva Wyndham Maya in Riviera Maya. This resort features colonial-style accommodations with options for connecting rooms that are ideal for larger families travelling together. Viva Wyndham Maya is also located nearby lively Playa del Carmen where guests can soak in the local culture. Another family-friendly resort offered in this promotion is Caribe Club Princess Resort and Spa in Punta Cana. Nestled on the white-sand shores of the world-famous Bavaro Beach, this resort provides complimentary water and land sports along its sprawling beach and exciting kids and teen programs. Travellers may also choose to stay at the newly-offered Royal Decameron Club Caribbean in beautiful Runaway Bay, Jamaica. Guests can relax in comfortable cottage-style accommodations featuring views of the garden, courtyard or ocean. Vacationers can also enjoy personalized service from the resort’s friendly staff during their stay as they soak up the sun by the picturesque pool and experience true island living.